Fancy a breakfast, lunch or dinner overlooking the Indian Ocean? Then Tea Avenue will serve you justice! 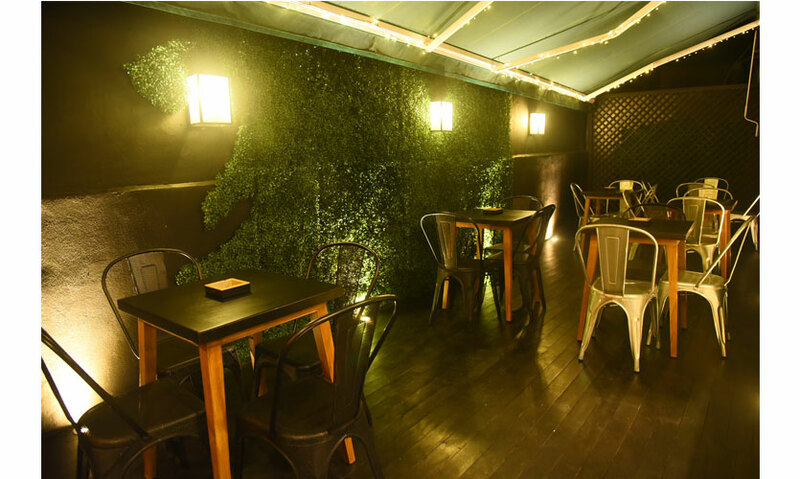 With its newest venue down Sellamuttu Avenue, Tea Avenue is ready to cater to the busy crowd in Colpetty and the suburbs. Bringing on its signature range of delicacies to entice your taste buds at any time during the day, Tea Avenue has transformed itself into a must-visit eatery in Colombo. The range of beverages at Tea Avenue is unique to its theme. 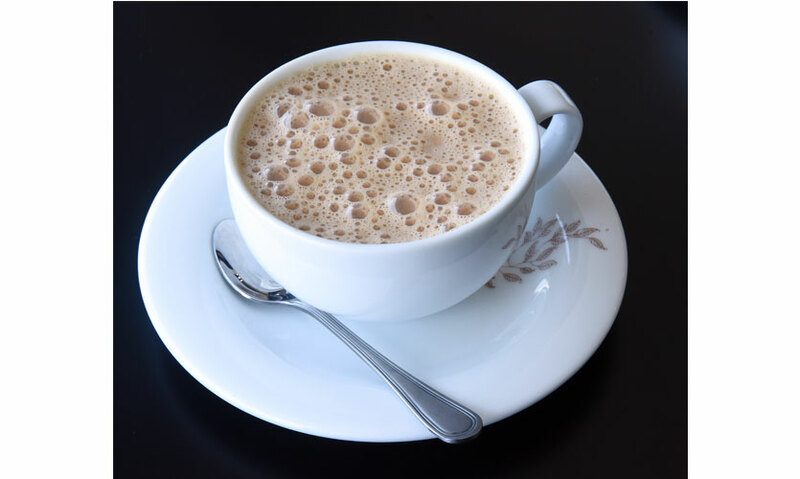 Starting from its Standard 36 Milk Tea to Chai Latte inspired by the Indian masala tea, hot chocolate, iced tea and its Lavish range of milkshakes have been perfectly brewed to satisfy your taste buds. As recommended we tried their Standard 36 Milk Tea (Rs. 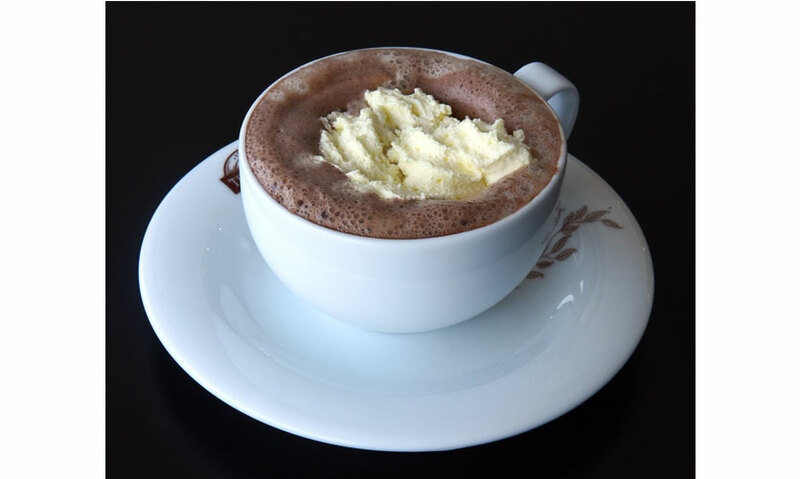 380), Hot Chocolate with whip cream (Rs. 560) and Ferrero Lavish (Rs. 890). The Milk Tea and Hot Chocolate were stirred to the point that they were frothing. For hot beverages they really stand out well especially during the prevailing rainy weather. The Ferrero Lavish topped with a Ferrero is another must try at Tea Avenue. Its rich chocolate taste coupled with cream is a match made in heaven. Recommended for those with a sweet tooth. 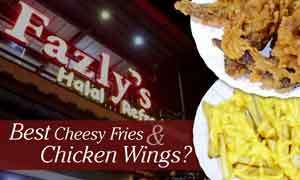 Their signature range of food also keeps one wondering between which items to choose from. From Royal Waffles to pasta, burgers and healthy items such as salads, their menu is a variety of colourful choices! 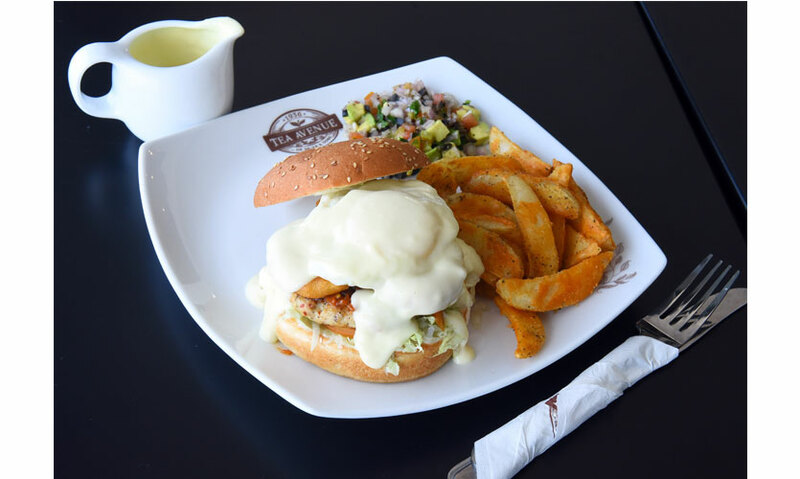 While at Tea Avenue, we also tried their Signature Chicken Burger with melted cheese (Rs. 1200) and Fish and Chips (Rs. 1100) both coupled with salad and French fries. The Signature Burger with melted cheese, a juicy slice of chicken, fried egg, tomato and potato wedges is recommended for those who want to have a quick snack. 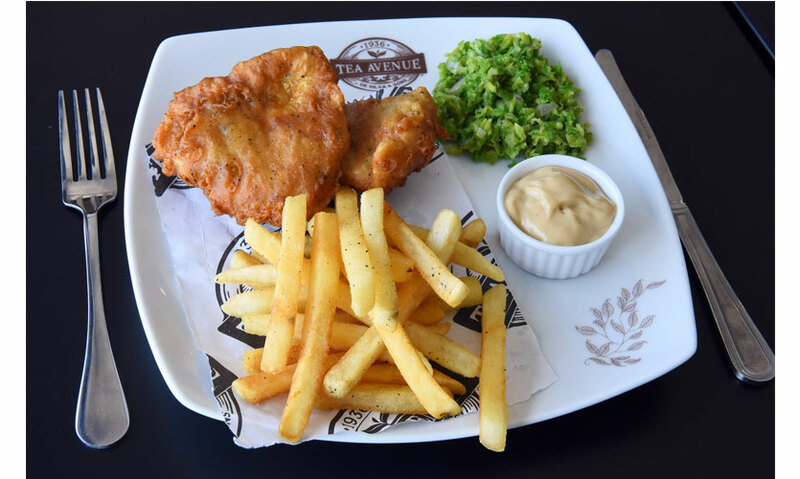 Similarly, the selection of Fish and Chips too with its tartar sauce is a perfect dish for anyone. The menu also includes desserts such as blueberry cheesecake, tiramisu and rich chocolate cakes. Equipped with cosy interiors, this space is ideal for business meet-ups, casual hangouts and even small gatherings. An open space is also available for those who want to have some time on their own. Aromas of waffles, hot chocolate and coffees fill the air, activating your taste buds as soon as you enter this space! 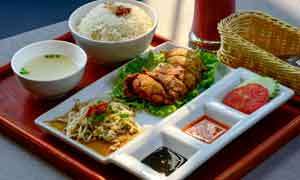 Tea Avenue is open daily from 7.00am to 11.00pm. Their breakfast menu is open from 7.00am to 2.00pm on weekends. The space has free wifi as an added facility for its guests. 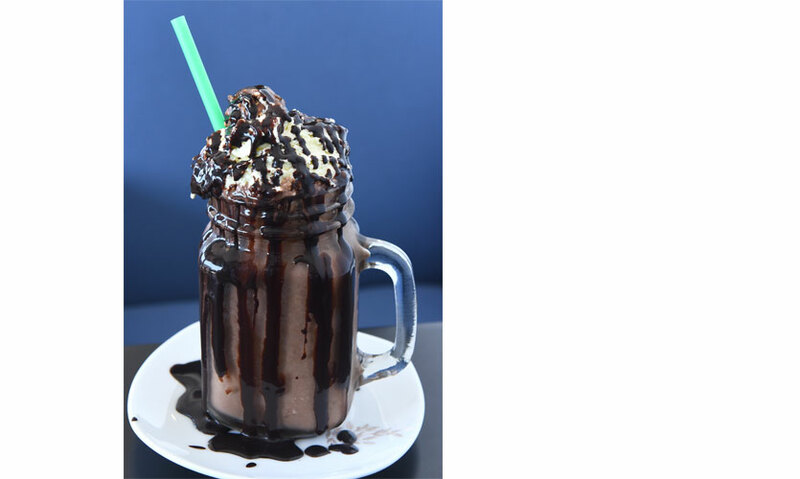 Tea Avenue has now expanded to Marine Drive, with its perfect shakes and ice-cream burgers. Tea Avenue on Marine DriveOur latest outlet, situated in Colombo 3, with a fantastic view, and our entire range of food and drinks plus a few extras.